In January 1994, news of Bishop Haik Hovsepian Mehr’s disappearance created a wave of fear among the Christian community in Iran. Bishop Haik disappearance followed his campaign to have Rev. Mehdi Dibaj’s death sentence commuted and have him released from prison. By the end of January it was understood that Bishop Haik had been murdered. Later in the year, in June 1994, Rev. Dibaj and Rev. Michaelian were murdered. These leaders were outstanding examples with regard to both their personal lives and their Christian service. Their integrity was beyond question. Their dedication to the Lord and to building His church stood as shining lights and will always be a source of inspiration to other Christians. We pay tribute to these three outstanding Christian heroes in the year of their 10th death anniversary. We also remember other Iranian Christians who have died for Christ in the recent years. The first post Islamic Revolution Iranian Christian martyr was Rev. Arastoo Sayah martyred in February 1979. This was followed by the murders of Bahram Dehqani-Tafti (son of the Bishop of the Anglican Church of Iran) in May 1980 and Manuchehr Afghani in 1988. In the 1990’s came the killings of Rev. 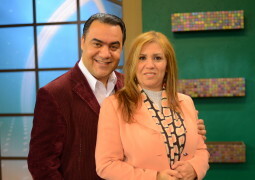 Hossein Soodmand and Pastor Mohammad-Bagher Yousefi. Since then Iranian Christians disappear or are killed in mysterious circumstances. The sacrifice of these great martyrs has not been in vain. Our mission is still smuggling Pharsi Christian literature that is printed in Sabina Printing Press, India and is being secretly distributed to Iran. Let us derive strength from their lives and continue fearlessly in our mission.